Well, the cost to repair a heat pump in San Marcos ranges from $197 to $1,251, with the average cost being around $432. We know—that’s a big range. Let’s go into more detail about each of these factors to help give you a better estimate of what you’ll pay for a heat pump repair. Want to know EXACTLY how much your heat pump repair will be? Let a San Marcos pro diagnose the problem. The biggest factor that affects cost is the type of heat pump repair you need. You see, not all parts cost the same to replace—some parts are more expensive than others. And some parts require more effort to replace, which increases the cost of labor. Your heat pump repair may be covered if your parts and/or labor warranties are valid. We’ll explain the difference between the 2 types of heat pump warranties and how you can know if they’re valid. A parts warranty is issued by the heat pump manufacturer to cover important parts that fail because of a manufacturer defect. A parts warranty typically lasts anywhere from 1 to 10 years, depending on the manufacturer. Note: If you’re having trouble finding your heat pump warranty online, try calling the company who installed your heat pump or your the manufacturer's local distributor. A heat pump labor warranty is offered by the contractor who installed your heat pump or performed repairs on it. The purpose of the warranty is to cover the cost of labor to replace/repair a part. Labor warranties typically lasts 1 to 5 years, depending on the contractor. For example, if a contractor replaces a bad capacitor, they may offer a labor warranty for one year that will cover that specific repair. So if the capacitor fails within one year, the contractor will repair/replace the capacitor and they won’t charge you for labor. 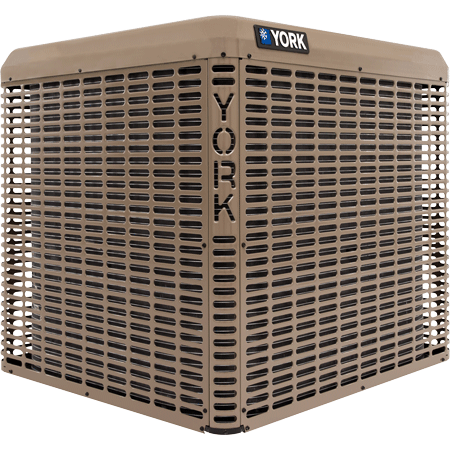 Contact the HVAC company who installed or last repaired your heat pump for the warranty details. Here’s the thing: Every contractor in San Marcos charges differently for their heat pump repair services. As a general rule, the more experienced the contractor and the more certifications they have, the more they will charge. You see, some contractors offer lower prices to repair heat pumps, but you get what you pay for. If that contractor cuts corners, you’ll pay for it down the road in additional repairs and lost efficiency from your heat pump. Hiring a qualified professional saves you money and hassle in the long run because they will fix your heat pump correctly the first time. So, how do you know if a contractor does high-quality work? Do they have significant experience installing and repairing heat pumps? Do they offer guarantees or labor warranties on their repair work? If you answered “yes” to those questions, you likely found a quality contractor. If you answered “no,” keep looking around until you find one you are comfortable with and who meets those requirements. Need a heat pump repair? We’ll send one of our trusted techs to diagnose your heat pump problem. Once our tech finds the issue, they’ll give you an honest, upfront quote on the cost to fix it. Visit our heat pump repair page for more information about what to expect when you hire us to repair your heat pump. How Much Does a Central AC Repair Cost in San Marcos?